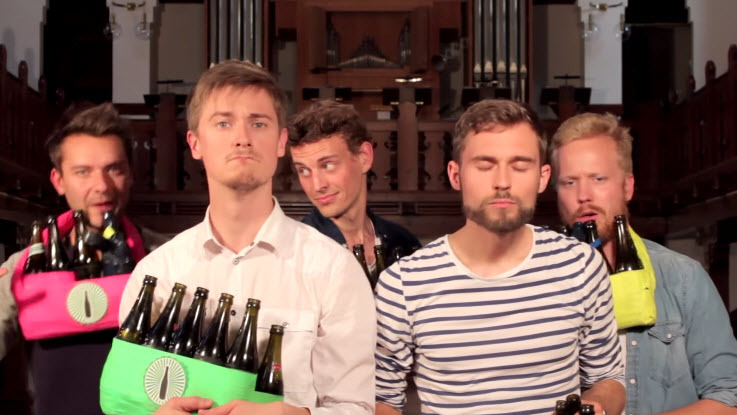 Michael Jackson’s ‘Billie Jean’ has been redone using nothing but a few beer bottles and a probably a lot of work. That being said, this is actually a very well done sequence where they really do ‘Billie Jean”, and they do it really well. These are the boys from Denmark who are know as the “Bottle Boys”, and I am guessing it’s because they play songs using some bottles. They are quite good though, and the video is well worth watching. With beers in their hands they started improvising tunes and a crowd quickly gathered. Over the following years, the boys took their bottles to the streets, busking in Denmark and abroad, participated in talent shows on TV, and started sharing videos of their cover numbers on YouTube. They have covered popular pop tunes like “Party Rock Anthem”, “Call Me Maybe”, and “Gangnam Style” over 90’ies and Hip Hop classics to mashups of themes from video games! 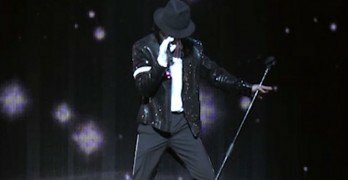 Their inventive and creative music style has earned them a huge international fanbase, and their cover of Michael Jackson’s “Billie Jean” is a hit online, amassing millions of views. Now, 9 years, millions of YouTube views, hundreds of shows in over 20 countries and dozens of TV-appearances later, the Bottle Boys have become a global phenomenon and together they continue to rock the party. So if you’re in mood for some entertainment, just check out Jackson’s ‘Billie Jean’ beer bottle version below, they do a great job! These are the Bottle Boys, and here is the famous Michael Jackson song ‘Billie Jean’.